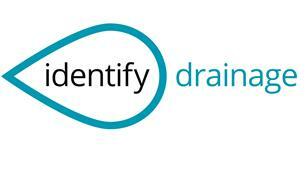 Identify Drainage & Plumbing - Cleaning Services, Drain/Sewer Clearance, Plumber based in East Grinstead, West Sussex. Jim Field has over 25 years in the plumbing and drainage industry. Jim leads a team of qualified and time served local engineers that offer a very competitive hourly or set price drainage service in the Sussex, Surrey and Kent area. Identify Drainage Services carry all the latest equipment to rival any of the big companies. Fully equipped for fixing leaks and repairing drains, they always carry drain CCTV cameras and high pressure jetting equipment for blocked drains and drain cleaning. Damp investigation, drain repairs/maintenance including root removal, non-dig patch repair and relining. Drain cleaning of fat and descaling of the drains. Gutter clearance using Omnipole gutter vac system for hard to reach gutters for commercial and domestic properties. From Blocked or flooding drains to performing a professional drain CCTV survey, Jim has the experience to resolve your drainage & plumbing nightmares. We promise to treat your property as if it were our own, keeping any area of work safe and tidy before, during and after. We also understand concerns that may arise with the elderly and disabled and will always be flexible around the clients' needs. We promise that you will not be paying for us to learn the job on your time using your money.